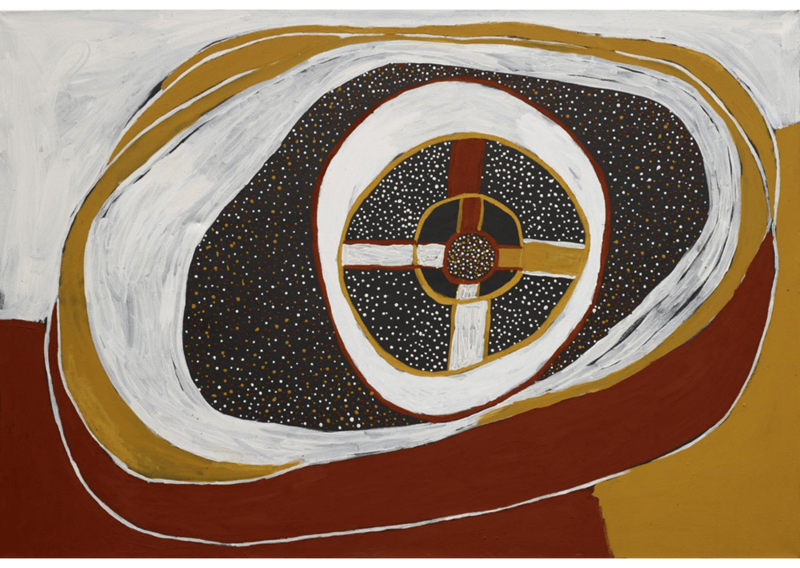 The world is not a foreign land brings together work by Timothy Cook, Djambawa Marawili, Ngarra, Rusty Peters, Freda Warlapinni and Nyapanyapa Yunupingu. Crossing three geographically and culturally distinct regions—the Tiwi Islands, the Kimberley, and North-eastern Arnhem Land—each artist presents sometimes strikingly different perspectives on what constitutes Indigenous contemporary art. However, seen together, their work also reveals a series of productive and meaningful relationships; a network of connections that ask audiences to reconsider how certain objects and, by extension, certain practices, might relate beyond the confines of existing categories.